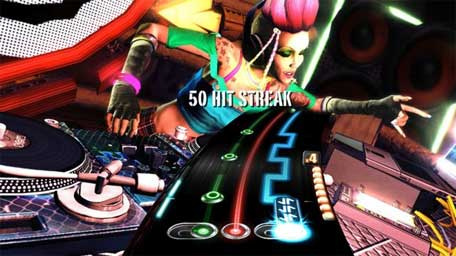 So The New DJ Hero DLC Might Be Expensive, But It Looks Fun. Be warned though, just like the main game, the DLC is rather pricey. At $5.99 you'll get two mixes - "All Of Me" by 50 Cent featuring Mary J. Blige vs. "Radio Ga Ga" by Queen, and "DARE" by Gorillaz vs. "Can't Truss It" Performed by Public Enemy - under the guise of the "Extended Mix Pack 01". Activision blame the inflated costs on the extra work/licensing that goes into these mixes. Which is fair. But still, with the average Guitar Hero song at $0.99, we would have preferred prices in the $3.99 ball park. Alas, the mixes actually look rather good, so we're probably going to buy them.